“United States of America v. Kassim Tajideen,” U.S. District Court for the District of Columbia, March 7, 2017, 9-10, 22, https://www.justice.gov/usao-dc/press-release/file/952066/download. The Treasury designated Tajideen as a Specially Designated Global Terrorist in May 2009.“Treasury Targets Hizballah Network in Africa,” U.S. Department of the Treasury, May 27, 2009, http://www.treasury.gov/press-center/press-releases/Pages/tg149.aspx. The Tajideens’ African business network extends across multiple industries including real estate, food processing, and the diamond industry. With the funds procured from one of their businesses, “Tajco Company LLC,” the Tajideen brothers reportedly purchased and developed properties in Lebanon for use by Hezbollah. According to the U.S. Treasury in 2010, companies owned or operated by the Tajideen brothers include Tajco, Kairaba Supermarket, Congo Futur, Ovlas Trading, Golfrate Holdings, and Grupo Arosfran.“Treasury Targets Hizballah Financial Network,” U.S. Department of the Treasury, December 9, 2010, http://www.treasury.gov/press-center/press-releases/Pages/tg997.aspx. Kassim’s brother Hussain was expelled from The Gambia in early June 2015 for alleged ties to Hezbollah.“Gambia expels Lebanese businessman accused of Hezbollah ties,” Reuters Africa, June 2, 2015, http://af.reuters.com/article/drcNews/idAFL5N0YO49P20150602. The record of Kassim Tajideen’s nationality and citizenship is conflicted. His 2009 U.S. designation lists his place of birth as Sierra Leone and a dual Lebanese-Sierra Leonian nationality.“Treasury Targets Hizballah Network in Africa,” U.S. Department of the Treasury, May 27, 2009, https://www.treasury.gov/press-center/press-releases/Pages/tg149.aspx. According to a 2016 Guardian interview with Tajideen, he was born in Lebanon and later moved to Africa.Gareth Smyth, “‘A kind of death’: life on the US Treasury blacklist,” Guardian (London), May 25, 2016, https://www.theguardian.com/world/iran-blog/2016/may/25/kassim-tajideen-us-treasury-hezbollah-tehranbureau. Other media reports indicate that Tajideen also at some point obtained Belgian citizenship.Spencer S. Su, “Lebanese businessman, Hezbollah supporter, charged with evading U.S. sanctions,” Washington Post, March 24, 2017, https://www.washingtonpost.com/local/public-safety/lebanese-businessman-hezbollah-supporter-charged-with-evading-us-terror-sanctions/2017/03/24/979dbbd2-10b6-11e7-ab07-07d9f521f6b5_story.html?utm_term=.200856779db3. He reportedly opened his business headquarters in Belgium in 1989.Gareth Smyth, “‘A kind of death’: life on the US Treasury blacklist,” Guardian (London), May 25, 2016, https://www.theguardian.com/world/iran-blog/2016/may/25/kassim-tajideen-us-treasury-hezbollah-tehranbureau. Belgian police arrested Tajideen and his wife in 2003 after a raid on Soafrimex, one of Tajideen’s businesses in Antwerp.Matthew Levitt, Hezbollah: The Global Footprint of Lebanon's Party of God (Georgetown University Press: Washington D.C.), September 2013, 258, accessed March 30, 2015, https://books.google.com/books?id=6WarAAAAQBAJ&pg=PA257&dq=kassim+tajideen+arrested+2003&hl=en&sa=X&ei=PLcZVcGxLsXIsQTK34CACA&ved=0CDEQ6AEwAA#v=onepage&q=kassim%20tajideen%20arrested%202003&f=false. Tajideen was released on €125,000 bail.Chaim Even-Zohar, “Hezbollah Diamond Smugglers Put on U.S. Terrorists List,” Idex Online, May 28, 2009, http://www.idexonline.com/FullArticle?id=32413. Tajideen and his wife were later convicted of money laundering and forgery and fined €150,000. Terrorism-related charges were reportedly dropped.Gareth Smyth, “‘A kind of death’: life on the US Treasury blacklist,” Guardian (London), May 25, 2016, https://www.theguardian.com/world/iran-blog/2016/may/25/kassim-tajideen-us-treasury-hezbollah-tehranbureau. On March 7, 2017, a U.S. district attorney for the District of Columbia charged Tajideen with fraud, conspiracy, money laundering, and violating global terrorism sanctions regulations.“United States of America v. Kassim Tajideen,” U.S. District Court for the District of Columbia, March 7, 2017, 1, https://www.justice.gov/usao-dc/press-release/file/952066/download. According to his indictment, Tajideen—already designated by the Treasury as a global terrorist who has provided millions of dollars to Hezbollah—conspired to carry out illegal transactions with U.S. companies for his own enrichment, and to “defraud” the United States through his business empire in Africa, Lebanon, and the United Arab Emirates.“United States of America v. Kassim Tajideen,” U.S. District Court for the District of Columbia, March 7, 2017, 9-10, 22, https://www.justice.gov/usao-dc/press-release/file/952066/download. The indictment also claims Tajideen concealed and falsely represented his activities on three occasions to the U.S. Treasury in 2010, 2012, and 2014. The charges stemmed from Project Cassandra, a two-year Drug Enforcement Administration investigation into Hezbollah’s global support network.Spencer S. Su, “Lebanese businessman, Hezbollah supporter, charged with evading U.S. sanctions,” Washington Post, March 24, 2017, https://www.washingtonpost.com/local/public-safety/lebanese-businessman-hezbollah-supporter-charged-with-evading-us-terror-sanctions/2017/03/24/979dbbd2-10b6-11e7-ab07-07d9f521f6b5_story.html?utm_term=.200856779db3. Tajideen was arrested on an INTERPOL warrant five days after his indictment at Casablanca’s airport in Morocco while traveling from Guinea to Beirut. 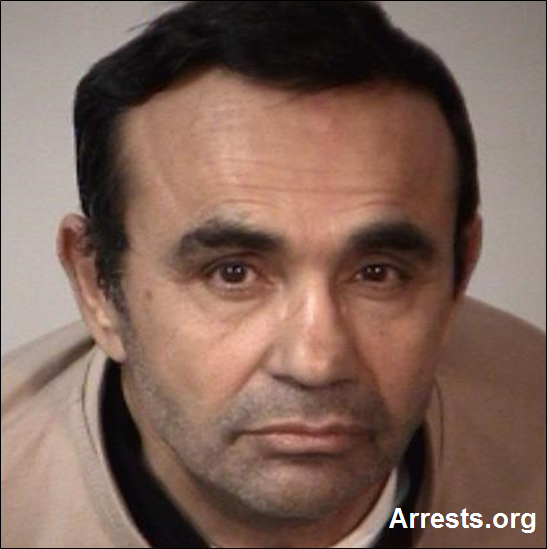 He was shortly after extradited to the United States.Spencer S. Su, “Lebanese businessman, Hezbollah supporter, charged with evading U.S. sanctions,” Washington Post, March 24, 2017, https://www.washingtonpost.com/local/public-safety/lebanese-businessman-hezbollah-supporter-charged-with-evading-us-terror-sanctions/2017/03/24/979dbbd2-10b6-11e7-ab07-07d9f521f6b5_story.html?utm_term=.200856779db3; “United States of America v. Kassim Tajideen,” U.S. District Court for the District of Columbia, March 7, 2017, https://www.justice.gov/usao-dc/press-release/file/952066/download. Tajideen pled not guilty to the charges in U.S. court on March 23, 2017.Spencer S. Su, “Lebanese businessman, Hezbollah supporter, charged with evading U.S. sanctions,” Washington Post, March 24, 2017, https://www.washingtonpost.com/local/public-safety/lebanese-businessman-hezbollah-supporter-charged-with-evading-us-terror-sanctions/2017/03/24/979dbbd2-10b6-11e7-ab07-07d9f521f6b5_story.html?utm_term=.200856779db3. Morocco’s extradition of Tajideen permanently changed the country’s relationship with Iran, according to Moroccan officials. Moroccan Minister of Foreign Affairs and International Cooperation Nasser Bourita told media that Iran had “threatened” Morocco if it did not release Tajideen.Safaa Kasroui, “Morocco Denies Rumors of ‘Forced’ Embassy Relocation in Lebanon,” Morocco World News, September 11, 2018, https://www.moroccoworldnews.com/2018/09/253357/morocco-rumors-embassy-iran-lebanon-hezbollah/. The Moroccan government severed ties with Iran on May 1, 2018, accusing Iran of using Hezbollah to arm the Polisario Front in Africa.“Morocco cuts diplomatic ties with Iran over Western Sahara feud,” Al Jazeera, May 1, 2018, https://www.aljazeera.com/news/2018/05/morocco-cuts-diplomatic-ties-iran-western-sahara-feud-180501173229190.html. “Treasury Targets Hizballah Network in Africa”, Department of Treasury, May 27, 2009, http://www.treasury.gov/press-center/press-releases/Pages/tg149.aspx. The U.S. Department of the Treasury designated Hussain Tajideen as a Specially Designated Global Terrorist on May 27, 2009.“Treasury Targets Hizballah Network in Africa,” U.S. Department of the Treasury, May 27, 2009, http://www.treasury.gov/press-center/press-releases/Pages/tg149.aspx. Kassim Tajideen is a U.S.-designated Lebanese businessman and accused Hezbollah financier detained in the United States on terror-related charges.Spencer S.
Haj Kassim“United States of America v. Kassim Tajideen,” U.S. District Court for the District of Columbia, March 7, 2017, 1, https://www.justice.gov/usao-dc/press-release/file/952066/download;“Treasury Targets Hizballah Network in Africa”, Department of Treasury, May 27, 2009, http://www.treasury.gov/press-center/press-releases/Pages/tg149.aspx.